Many people find it difficult to lose weight. Counting calories is tedious and you might make mistakes with your math. The amount of calories you consume does play a part in weight gain, but there are other pieces to the puzzle that you may be unaware of. 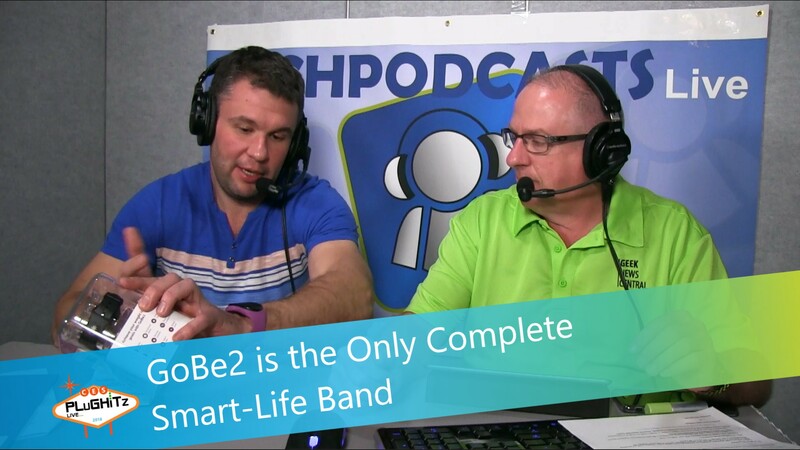 Healbe solves these problems with its GoBe2 - the only complete smart-life band. Todd spoke with Artem from Healbe at CES 2018. The GoBe2 smart band can automatically measure the calories that you consume, but it also keeps track of your hydration, your activity level and how much sleep you had. Together, all of those factors play a role in weight loss or weight gain. The GoBe2 has an accuracy rate of 85%. The GoBe2 app can show you your data; at a glance, you can see how many calories you consumed and compare that with how many calories you burned. The goal is to have a negative number at the end of the day. The GoBe2 makes it easier for you to reach your weight loss goals. The GoBe2 is available on Amazon and is priced at $199.